Many Health Co-Ops Fold, Others Survive Startup Struggles : Shots - Health News Establishing a member-owned, nonprofit health co-op from scratch is tough; 12 of 23 that tried under Obamacare have closed after just one year. Sick patients poured in, and promised subsidies didn't. Rick and Letha Heitman, of Centennial, Colo., bought their health plan in 2015 through Colorado HealthOP, an insurance cooperative that will close at the end of the year. HealthOp's CEO says the co-op was "blindsided" when some promised federal subsidies failed to materialize. Thousands of Americans are again searching for health insurance after losing it for 2016. That's partly because some large, low-cost insurers — health cooperatives, set up under the Affordable Care Act — are folding in a dozen states. The startups were supposed to shake up the traditional marketplace by being member-owned and nonprofit. But it was tough to figure out how much to charge. Plans available through the co-ops tended to be priced low, and customers poured in. Yet many of these new customers, it turned out, had costly medical conditions, so when co-ops had to start paying their bills, the math didn't add up. On top of that, co-ops were counting on a variety of funding streams from the federal government, and some of that money never materialized. Of the 23 health co-ops that opened in 22 states with the advent of Obamacare, just 11 are still in business. The failure of one of these insurers, Colorado HealthOp, has hit Rick and Letha Heitman hard. The couple says that Colorado HealthOp, which is due to close at the end of the year, saved Rick's life when he was diagnosed with an aggressive prostate cancer last spring. "I owe them for taking care of me," says Rick, who owns a construction business with his wife. "They helped me at a time when I needed it a lot." Now, about 80,000 people, including the Heitmans, are suddenly on the hunt for new insurance plans on Colorado's exchange. Julia Hutchins, HealthOP's CEO, says the co-op got walloped by the equivalent of a fast-moving tornado after the federal government said it wouldn't be paying co-ops millions in subsidies that she and others expected. "We were really blindsided by that," Hutchins says. "We felt like we'd done our part in helping serve individuals who really need insurance, and now we're the one left holding the bag." HealthOp was on track to becoming profitable, she insists. Linda Gorman, director of the Independence Institute, an advocacy group and think tank in Colorado, says the new co-ops were in over their heads. "You shouldn't go into business counting on federal subsidies," Gorman says. "The notion that you should beat up on for-profit entities and then form these nonprofits and everything will be magically OK is unfortunate to begin with, and we've wasted a lot of taxpayer money on that. We've wasted two to three billion dollars on subsidies for these co-ops." But the HealthOP's senior IT manager Helen Hadji, a Republican, says she blames conservatives in Congress for not authorizing the money needed to keep the cooperatives afloat. "This is a federal failure," Hadji says. "This is all a political battle to dismantle Obamacare." Colorado's co-op captured 40 percent of the individual market on the state's exchange. 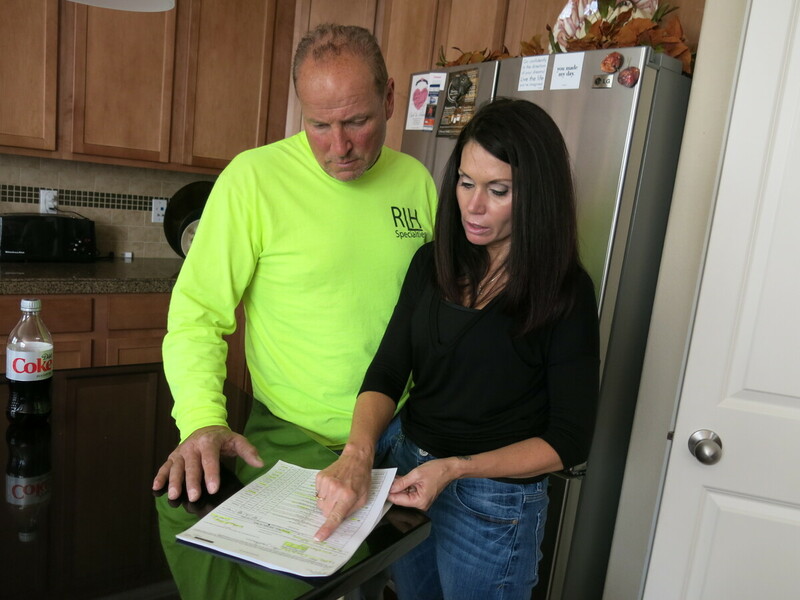 Now, as customers like Rick and Letha Heitman hunt for new insurance for 2016, they are facing higher prices. The Heitmans paid about $500 a month last year for their co-op plan. For 2016 they'll likely have to pay double or triple that to get health insurance that includes the doctors who are treating Rick's cancer. In Connecticut, a different story is playing out. If Colorado saw an early surge in membership because of low prices, Connecticut's co-op nearly priced itself out of the market in its first year, charging rates that were much higher than its competitors. For 2015, HealthyCT only got 3 percent of the state's business under the Affordable Care Act. "In that first year, the reason we had such low market share was that consumers — new to the industry, new to insurance — most of those individuals bought on price," says Ken Lalime, who runs the co-op. And starting the business was hard, Lalime says. "Nobody's built a new insurance company in the state of Connecticut in 30 years," he says. "There's no book that you pull off the shelf and say, 'Let's go do this.' "
Lalime faced the same problem other co-ops faced nationally. He didn't know who his customers would be, didn't know whether they'd be sick or healthy and didn't know how much to charge. In the end, his co-op charged too much. However, even though that meant relatively few sign-ups in year one, the slow start actually helped. The co-op didn't have a huge number of claims to pay immediately, and those that it did pay didn't break the bank. "Hindsight, yes, that didn't hurt us — to be able to take it slowly," Lalime says. In year two, HealthyCT's average premiums were more competitive — and the co-op went from a 3 percent share of the market to 18 percent. For 2016, its initial premium request came in high; it subsequently revised that number to be much lower, and the state overseers eventually announced that HealthyCT's premiums will go up 7 percent. Paul Lombardo, an actuary for the state of Connecticut, says the back-and-forth is an indicator that setting the price of premiums is still a bit of a gamble under the Affordable Care Act. These are still early days, he says. So few people signed up with HealthyCT in the beginning that the health co-op didn't have enough information to guide its decisions about 2016 premiums. "There wasn't a lot of data to say, OK, we can use 2014 experience to project forward," Lombardo explains. For now, HealthyCT is holding its own. "They're in good standing," Lombardo says. "The premium we think that we're setting for 2016 — albeit a little bit higher than they wanted it to be on the revision — is appropriate. And we look to have them go through the full year — as any of our other health plans do in 2016." Enrollment for 2016 health insurance on the Affordable Care Act's exchanges will continue until Jan. 31. This story is part of NPR's reporting partnership with Colorado Public Radio, WNPR and Kaiser Health News.